MINNEAPOLIS — Target Corp. today said net income increased to $681 million, or $1.23 a share, in the first quarter, a 7.7% increase from $632 million, or $1.05 a share, reported a year ago. Same-store sales slid 1.3% in the period, as store traffic continued to decline. Overall revenue fell 1.1% to $16 billion, down from $16.2 billion in the same period a year ago. Online sales rose 22%. Revenue and comps declined less than Wall Street had feared, giving investors hope that the retailer’s turnaround efforts will bear fruit. “Target’s first-quarter financial performance was better than our expectations, reflecting strong execution by our team as they delivered for our guests in a very choppy environment,” Brian Cornell, Target’s chairman and chief executive officer, said in a statement. Target has plans to launch a dozen of its own, brands over the next two years. The first new Target brand, Cloud Island, will roll out later this month, the company said. Cloud Island will include home decor, bedding and bath items. 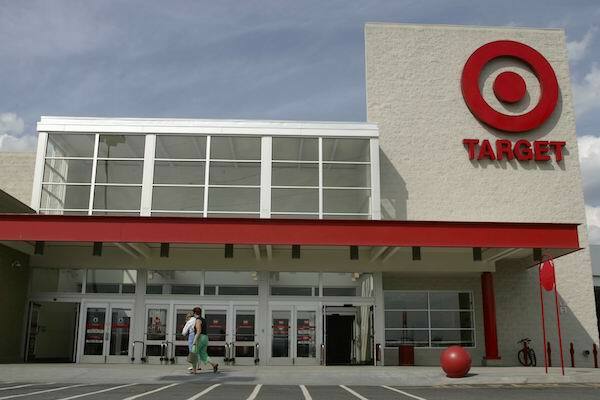 Overall, Target has pledged to invest $2 billion this year and $7 billion over three years as it seeks to draw more shoppers into its stores and stem the trend of declining sales. Target is lowering its profit margins by $1 billion this year as it invests in lower prices to become more competitive. For the second quarter, Target said it also expects a low-single digit decline in comparable sales, and adjusted earnings per share of between 95 cents to $1.15.